2x Sony 3d Active Glasses TDG-BT400A. 5 out of 5 stars - 2x Sony 3d Active Glasses TDG-BT400A. 3 product ratings3 product ratings - 2x Sony 3d Active Glasses TDG-BT400A. Sony TDG-BR250 Active 3D Glasses Brand New. Condition is New. 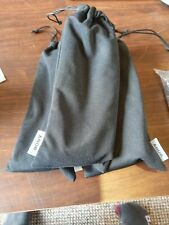 Sony TDG-BR250 Rechargeable active 3D Glasses Used but excellent condition bag. Condition is Used. Dispatched with Royal Mail RM48. Have 3 pairs of these in official sony cloth bags. You just need a standard usb charging cable as we can't find them. Used ONCE. Please CONFIRM your TV model before purchase! Only for Active 3D, not passive 3D. (Active 3D glasses needs battery while passive 3D glasses don't. Used (no scratches to lense).2 Pairs of 3D glasses, USB cable and 2 3D movies. Active 3D Glasses. SONY TDG-BT400A. Cash on collection is accepted. Excellent condition. Sony TDG-BR250 3D Active Shutter Glasses. Clear 3D images from a wide viewing angle - 3D glasses work with high precision for smooth 3D viewing from around the room and less flicker from ambient room light. A brand new, unused original product. SONY TDG-BR250 USB Rechargeable Active 3D Glasses. There are 4 pairs in total. Used: it might be some scratches but none of them is on the lens. Discount applies when buying more than 1 pair. Free collection in person in Tunbridge Wells. The XPAND 3D glasses Lite IR are compatible with 3D devices that use IR 3D synchronization protocol,including XPAND equipped 3D cinemas. XPAND 3D glasses Lite IR support dual view gaming when the dual view signal is emitted,whereas XPAND 3D glasses Lite RF support manual selection of dual view mode for dual view gaming. The user must check whether the glasses are safe to wear for their eyesight.We are not responsible for any health issues that may be caused with the glasses. PAIR OF SONY TDG-BR250 3D GLASSES FOR SALE. This item is for 1 pair of Sony Active 3D Glasses for use with specific Sony TV's. Sony 3D active shutter glasses. Excellent condition hardly used. Compatible with Sony 3D TV - HX & NX models. 2 charging leads. View 3D content without compromise to picture quality with Sony 3D active glasses and your Bravia 3D TV. Built for comfort, these adjustable glasses are lighter than previous models. Brand new. NEW SONY TDG-BT400A Active 3D Glasses. 5 out of 5 stars - NEW SONY TDG-BT400A Active 3D Glasses. 3 product ratings3 product ratings - NEW SONY TDG-BT400A Active 3D Glasses. 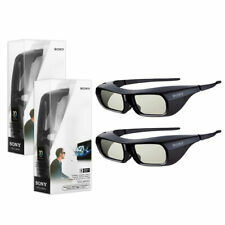 Sony 3D Active Glasses Rechargeable TDG-BR250 + TDG-BR200 special bundle! We used them only once as we are not big fans of 3D movies. Enjoy 3D content without compromising to picture quality. 3 hours use. Weight (Approx.). Worked perfect with most 2010-2012 Bravia models. 2x Pairs Genuine Sony Active 3D glasses. Requires compatible 3D Sony BRAVIA HDTV, 3D Sync Transmitter, and 3D source content. Stylish, ergonomic 3D glasses in black adjustable for high comfort--sized for adults. 2 x TDGBR250. •Clear 3D images from a wide viewing angle - 3D glasses work with high precision for smooth 3D viewing from around the room and less flicker from ambient room light. 2 Pairs in each Box. SONY TDG-BR250 ACTIVE 3D GLASSES Inc Pouch. Uses a standard micro usb to charge, not included. Condition is very good used. Dispatched with Royal Mail 1st Class. 1 Pair 3D3 A1113 Universal 3D Glasses for Active Shutter 3D TV's using IR Connectivity. 1 Pair of 3D3 A1113 3D Glasses. Our 3D3 Universal 3D Glasses use active shutter technology for optimum picture quality. Model: X105-RF-X1. Kikatek Code K1010001. X2 pair of Genuine Sony Eyewear Active 3D Glasses TDG-BR100 2010-2012 Models. Condition is Used . Dispatched with Royal Mail 2nd Class. 3D SONY Bravia FULL HD TDG-BR100 3D Glasses -Regular size "BRAND NEW"
REST OF THE WORLD IS £13.50. 1 x 3D glasses TDG-BR750. Compatible with:Sony 3D TV BRAVIA LX900 / EX720 / NX710 / NX720 / NX810 / HX750 / HX75A / HX820 / HX850 / HX900 / HX920 /HX950 series. 1 x Manual. Clear 3D images from a wide viewing angle - 3D glasses work with high precision for smooth 3D viewing from around the room and less flicker from ambient room light. Pawn It / Buyback. Product Information. Strong 3D glasses to obstacles in the wireless communication system adopted. don ' t worry about it. You need to get an import permit from Ministry of International Trade and Industry tog get your item if your item is more than 1000 MXN. View 3D content without compromise to picture quality with Sony 3D active glasses and your BRAVIA 3D TV. Built for comfort, these adjustable glasses are lighter than previous models and are designed to fit over prescription eyewear. Weight: About 36 g (including batteries). 3D Glasses. Sony TDG-BR200/B. USB Charging Cable 1.2m (MISSING). This is for a set of 2 SONY 3D glasses. Excellent condition! Type Active 3D Glasses. This will give us an opportunity to work out any issue. SONY HMZ-T2 3D compatible head-mounted display Personal 3D Viewer. Mass: Head mount unit: about 330 g (not including connection cable) Processor unit: about 600 g (not including power cord etc.). Ear tip (S size and L size). Sony TDG-PJ1 stereoscopic 3D glasses Black. Battery life (max) 30 h. Product colour Black. All of our products are fully backed by Australian manufacturer warranty. All of our products are fully backed by manufacturer warranty. 3D Glasses. 1x 3D Glasses. 1x 3D Glasses Pouch. Sony CECH-ZEG1U. Tipo Occhiali 3D attivo. Part number. 4 Pairs Of Sony RF Active 3D Glasses, TDG-BT400a. I bought them mistakenly thinking they were passive. 4 Pairs Of Sony RF Active 3D Glasses. NEW SONY TDG-BR750 3D Rechargeable Active Glasses TDGBR750. Condition is Used. Dispatched with Royal Mail 2nd Class. You can view 3D content without compromise with Sony's TDG-BR250/B 3D Active Glasses and your BRAVIA 3D TV. These 3D active glasses have side panels to block out excess light. Built for comfort, these adjustable glasses are lighter than previous models and are designed to fit over prescription eyewear.